This topic contains 3 replies, has 2 voices, and was last updated by towhid 3 years, 10 months ago. I've created a custom post type – listings – for a real estate website and I've created a form through WP Frontend that corresponds with this post type. The post type for the form is set as “listings” and the post status is set as “published”. The problem is that even though I see the submitted post in the backend and I see it on the posts page (where all the excerpts are shown), I can't see the individual single post. If I try to go to it, it says page not found 404. I've used this plugin on other forms and custom post types with great success, so I'm not sure what I'm missing here since I'm not really doing anything different. Please help! Thank you! I have reproduced this problem but did not get any inconsistency. 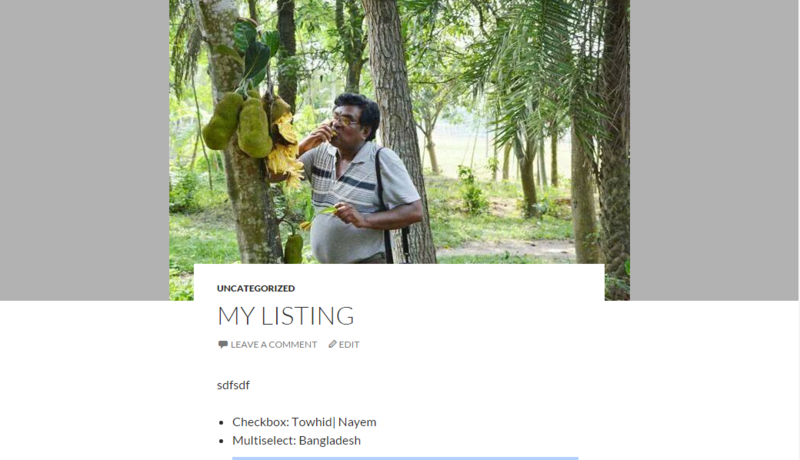 Here is the screenshot after submitting the listing form post. Actually it turns out that I needed to update the permalinks, that is what was causing the problem. Thanks for your help! I am very happy to know that you have solved the problem. I am going to mark the topic resolved and closed. The topic ‘viewing the single post gives me a 404 page’ is closed to new replies.